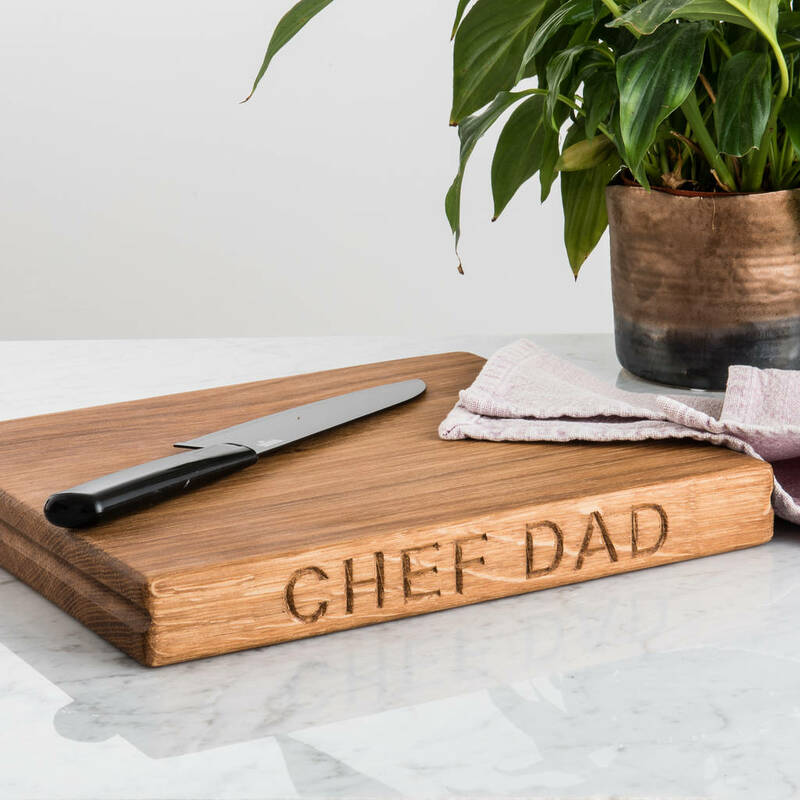 A beautifully hand carved personalised chopping board. Perfect for the head chef in your household! 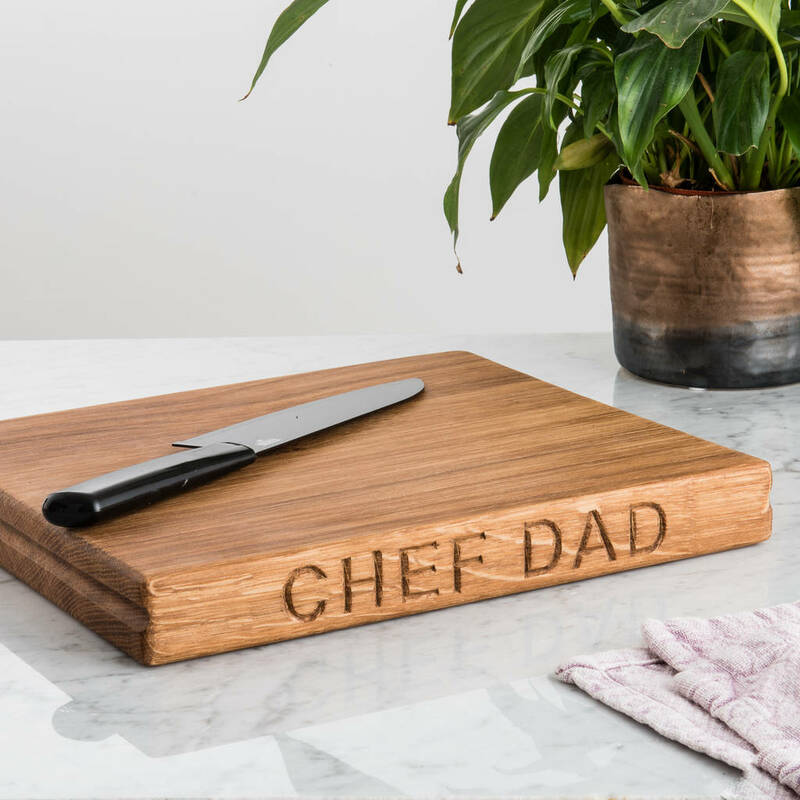 This beautiful wooden chopping board is ethically produced and hand carved in Brighton, UK. It's stylish, unique to you and can be made from Oak or Beech. Each letter is £2 but you have the freedom to write a little message or just simple initials. You can personalise with up to 24 characters (12 on each side). 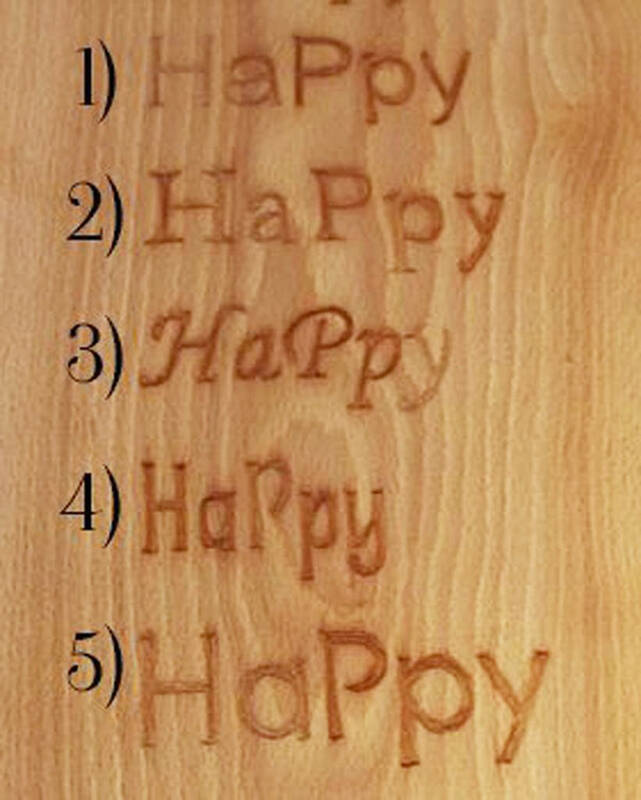 The cost of the wood chopping board is £28.50 and then to personalise it is £2 per hand carved letter. We have a choice of five fonts and we have included a combination of upper and lowercase letters on the font example image above. Please choose from option 1-5 as they appear on the board. Puncutation: If there are five letters or less in your personalisation, then please count your punctuation as a character. If your personalisation is six letters or more, then please do not count your punctuation as a character. Each chopping board comes with the grooves on both ends, unless you specify otherwise. The chopping board in the photograph is Oak and font number 2. 25cm x 30cm x 3cm.